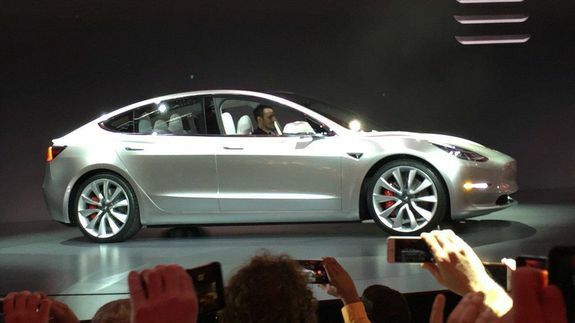 Tesla unveils the Model 3, its mass-market electric car - trendistic.com: ever tried. ever failed. no matter. try again. fail again. fail better. HAWTHORNE, California — The Tesla Model 3, the company’s “affordable” mass-market electric vehicle, is finally here. In keeping with virtually every Tesla unveiling to date, Elon Musk took to the stage a bit later than promised. Likely, his tardiness did not scare off any potential buyers; People have been in line to plunk down a deposit for the Model 3 for days. In fact, demand has been so high, Musk opened up online order forms early — and to additional countries — Thursday evening.